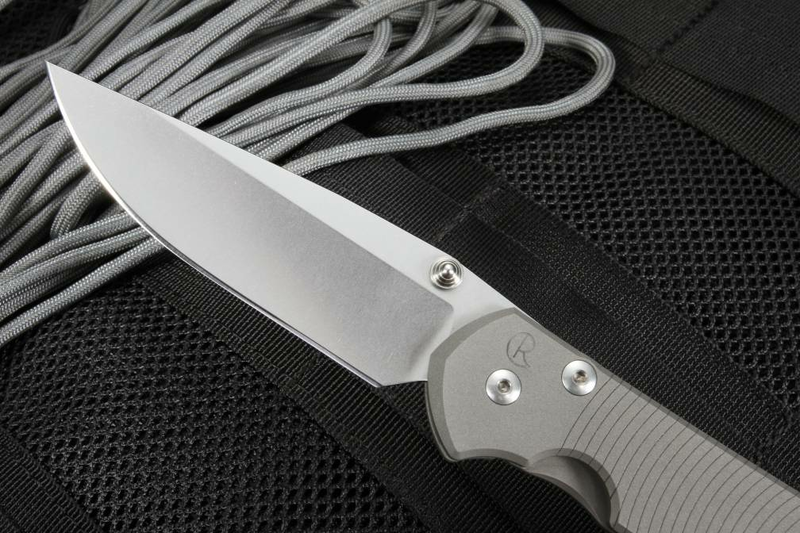 This is the Large Sebenza 21 with computer-generated graphic (CGG) "Doppler" pattern knife, it is part of a yearly series that CRK does with a wide variety of patterns and finishes. 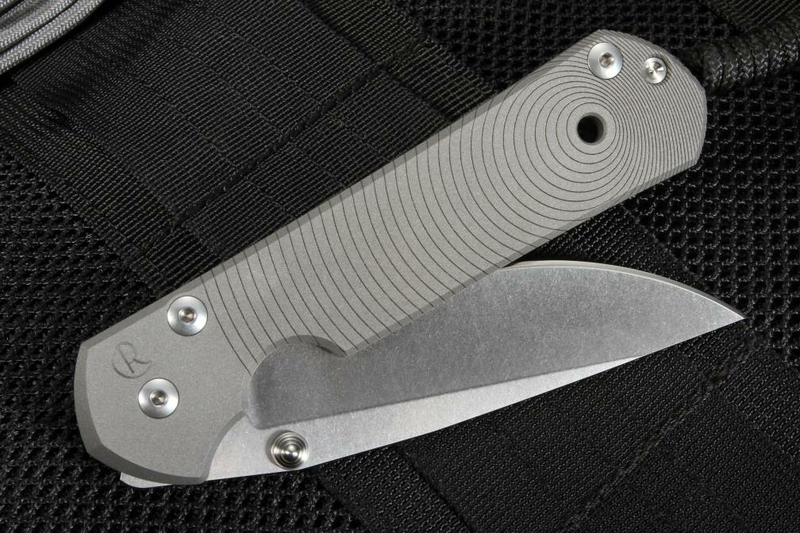 The Doppler CGG pattern both looks great and improves traction on the handle. 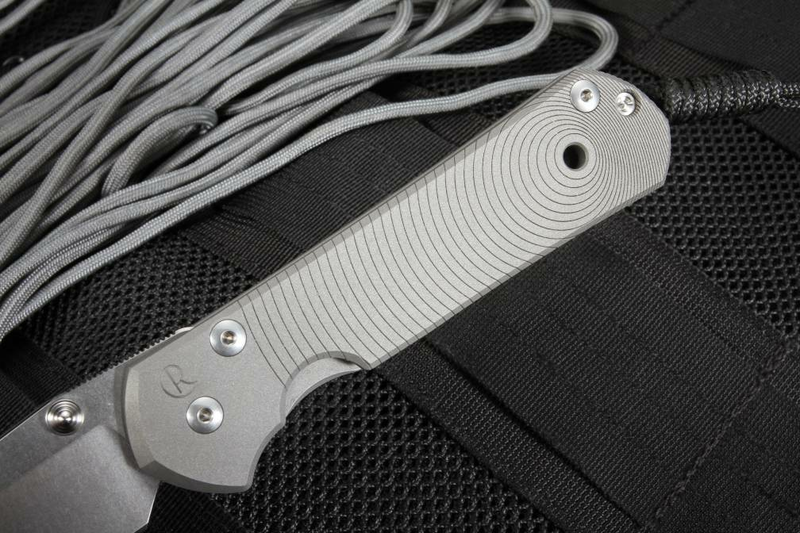 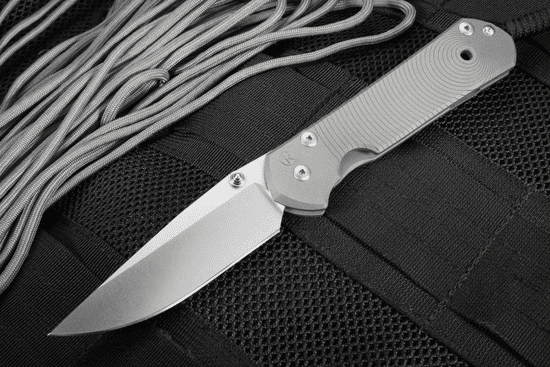 At first glance, the knife looks like a standard large sebenza, upon closer inspection you can see the circular expanding pattern machined into the handle. 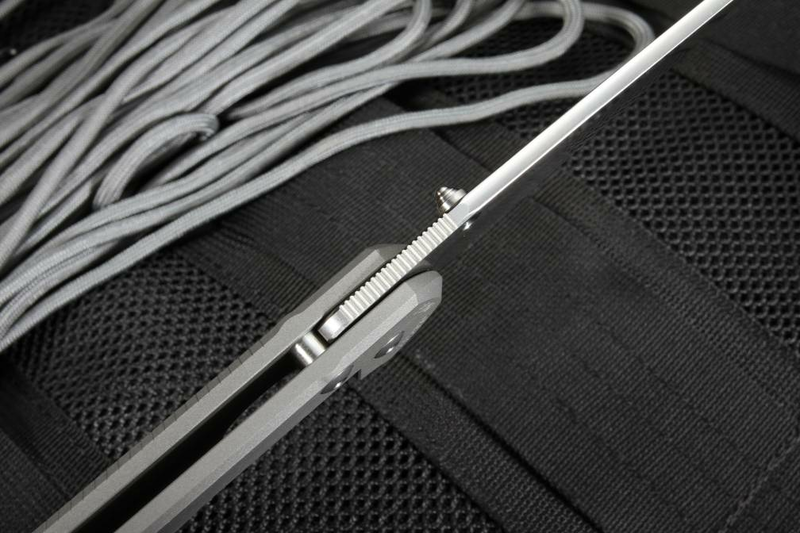 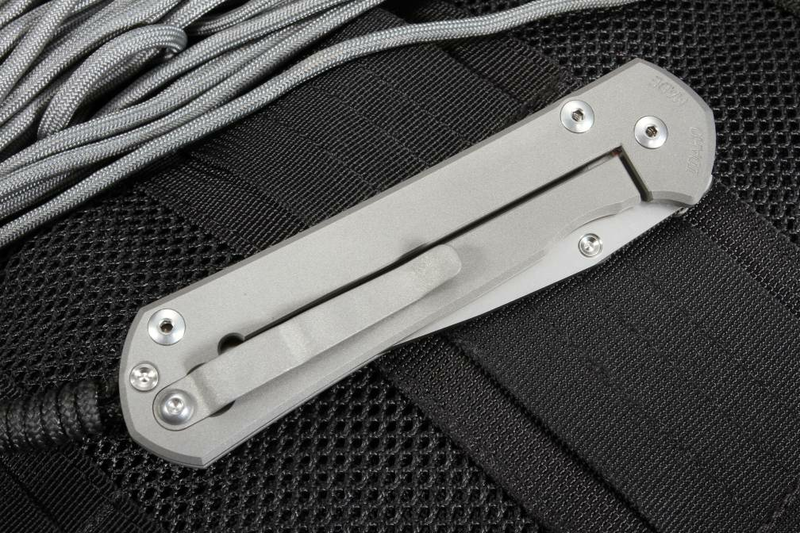 This knife comes with the brown leather pocket pouch, hex disassembly tool, CRK chamois and CRK fluorinated grease.